Oliver Heldens is an electronic music producer from Rotterdam, Netherlands. He was born on February 1, 1995. Oliver dived into the music industry in 2013 at the age of 18. He released several singles that year. His track Gecko, which was released that same year, caught the ear of veteran DJ Tiesto who signed the young man to his label Musical Freedom. Gecko was featured as the Essential New Tune on Pete Tong’s show on January 31, 2014. The song also charted in Belgium, France, and the Netherlands as well as on Beatport. That same year Oliver secured the number 34 position on DJ Mag’s Top 100 DJs of 2014. Pete Tong named him one of the breakthrough DJs of the year and afforded him the chance to perform an Essential Mix on BBC Radio 1 in December 2014. The following year he climbed up DJ Mag’s list and reached the 12th position. Oliver established his label, Heldeep. An EP titled Heldeep Talent was released on November 23, 2015. The EP featured tracks by Ray Shake, Niko the Kid, Bojac, as well as Jonas Aden & Robby East. A sequel to that EP was released on March 21, 2018, which featured tracks by Steff Da Campo, NOVKA, and Tom Budin. 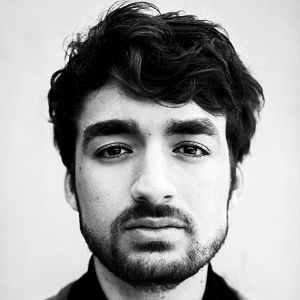 As of June 2018, Oliver Heldens is yet to release a studio album. Most of his songs have released as singles which are made available mostly via digital platforms. He has also remixed songs by artists such as Martin Garrix, Coldplay, Tiesto, Calvin Harris, Katy Perry, G-Eazy as well as Robin Thicke. Apart from Gecko, he has had commercial success with the 2015 song Last All Night (Koala) which topped the UK Dance Chart and also hit the number 5 position on the UK Singles chart. It was certified silver by the BPI. His 2016 track, The Right Song also sold well and was certified silver by the BPI. It peaked at the 10th position on the UK Dance chart. It also charted in Ireland, Scotland, and Poland. Oliver Heldens’ production setup centers on Image-Line’s FL Studio DAW. He is listed as a power user on the company’s official website. His production is mostly dependent on software tools such as the Kontakt 5 sampler, Guitar Rig 5, ValhallaRoom reverb, Retro Machines MK2, Sylenth1 and Native Instruments Massive synthesizer. Oliver uses various headphones for production and live performances, including models such as V-Moda Crossfade LP2, Audio-Technica ATH-M50, Pioneer HDJ-200 and Pioneer HDJ-500. His monitors of choice are the Eve Audio SC407 and Genelec 1031A speakers. Hardware synths he’s been seen with include a Moog Minimoog Model D and Roland Juno-106. Unsurprisingly, Pioneer equipment dominates his live DJ set. Various DJ mixers such as the CDJ-2000 Nexus, DJM-2000, and CDJ-2000NXS2 all play a part in his live setup. He’s also been known to use a Denon DJ SC5000 at some gigs. What kind of headphones does Oliver Heldens use? What kind of studio monitors does Oliver Heldens use? What kind of laptop and computer does Oliver Heldens use? What kind of DJ setup does Oliver Heldens use? What kind of keyboards & synthesizers does Oliver Heldens use? What kind of music production software does Oliver Heldens use?